The Chinese Academy of Sciences (CAS) announced Saturday its precision medicine research plan targeting Chinese people. Precision medicine is a medical model for high-efficiency, low-cost prevention and treatment of diseases tailored to individual patients based on their genetic content. Headed by the Beijing Institute of Genomics under the CAS, a cross-disciplinary team consisting of researchers from multiple institutes will spend four years collecting genetic information of 4,000 volunteers. Comprehensive research will target 2,000 of all volunteers, involving whole genome sequence analysis, building genome sequence health profiles, and early warning and intervention research for the risks and drug reactions concerning the genetic factors in key chronic diseases. The research program also covers diabetes and cancers. "Human genome sequence studies brought new concepts for the treatment of complicated diseases such as cancer, metabolic diseases, and cardiovascular and cerebrovascular diseases," said Zeng Changqing, the program's chief scientist. 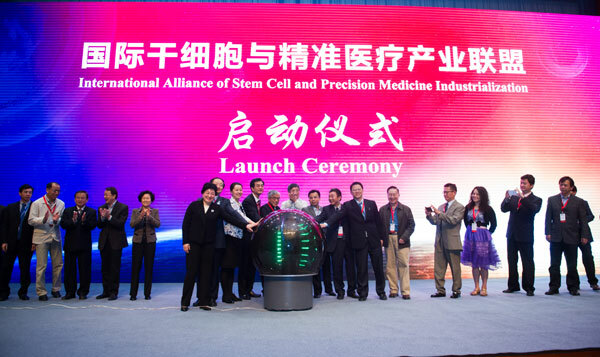 According to Zeng, precision medicine will realize the customization of healthcare, and those volunteers' genome health profiles will pave way for a precision medicine initiative that covers all Chinese people. Chinese researchers on Monday announced that they have completed sequencing the genome of adzuki bean, an important source of starch, digestible protein, mineral elements and vitamins for at least a billion people worldwide.